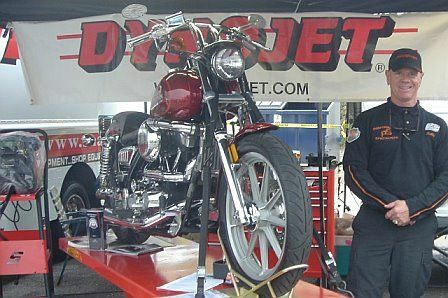 Dyno training classes, 5 day course, hands-on training in actual Harley repair facility. Perfect for MMI, AMI and PHD graduates. 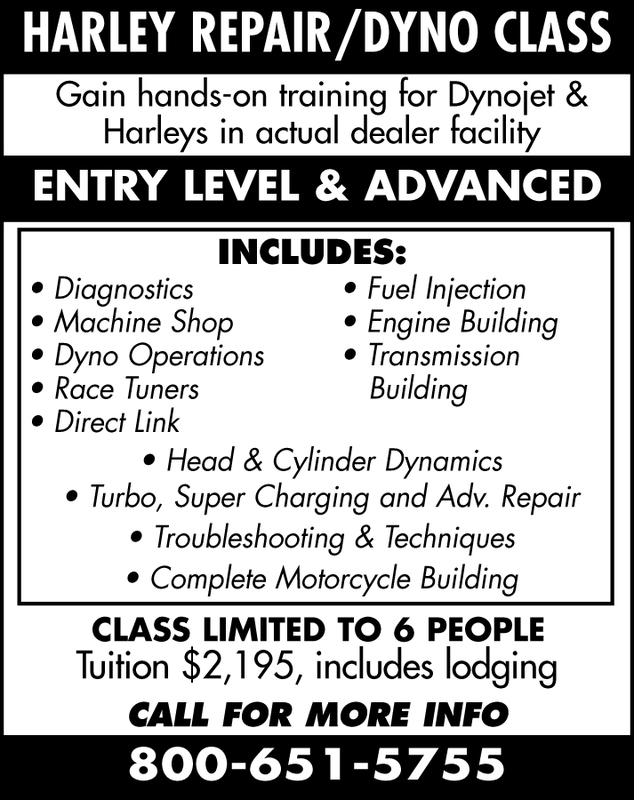 Includes diagnostics, machine shop, DynoJet operations, race tuners, Direct Link, fuel injection theories, & trouble shooting skills for early and late Harley systems, flow testing, head and cylinder dynamics, turbo and super charging along with advanced repair techniques. Learn secrets not found in textbooks. Class limited to 6 people. Tuition includes lodging and transportation to and from class. Experienced Harley Master Tech is offering classes for you to gain additional experience on Harley and American V-Twin repairs. Learn from the best who has over 35 years experience. We know secrets not found in textbooks, learned only from first hand experiences over the years. Expand your career with this in-depth, hands-on Harley repair workshop in an actual repair facility. Experience how the real world of business operates. We offer the latest technological methods and Dyno training to accompany various levels of repair and diagnostics. This workshop is perfect for MMI, AMI and PHD graduates wanting to gain the upper advantage over their peers. It is an extension of the classroom and exposes the students to actual working experiences in a real motorcycle repair dealership. We teach diagnostics, machine shop (entry level and advanced), DynoJet operations, race tuners, Direct Link, fuel injection theory on Delphi and Magneti Marelli, diagnostics and fuel injection trouble shooting and various other skills for early and late Harley systems. Other topics covered are flow testing, head and cylinder dynamics, turbo and super charging along with advanced repair techniques. Beat the competition with this expanded hands-on experience. Class space is limited to 6 people. Class starts on Wednesday and runs through the following Wednesday. Tuition includes lodging and transportation to and from class. Certificates awarded upon completion of the 5 day training session.